but now that it's freezing outside, it's a good time to get it posted now. 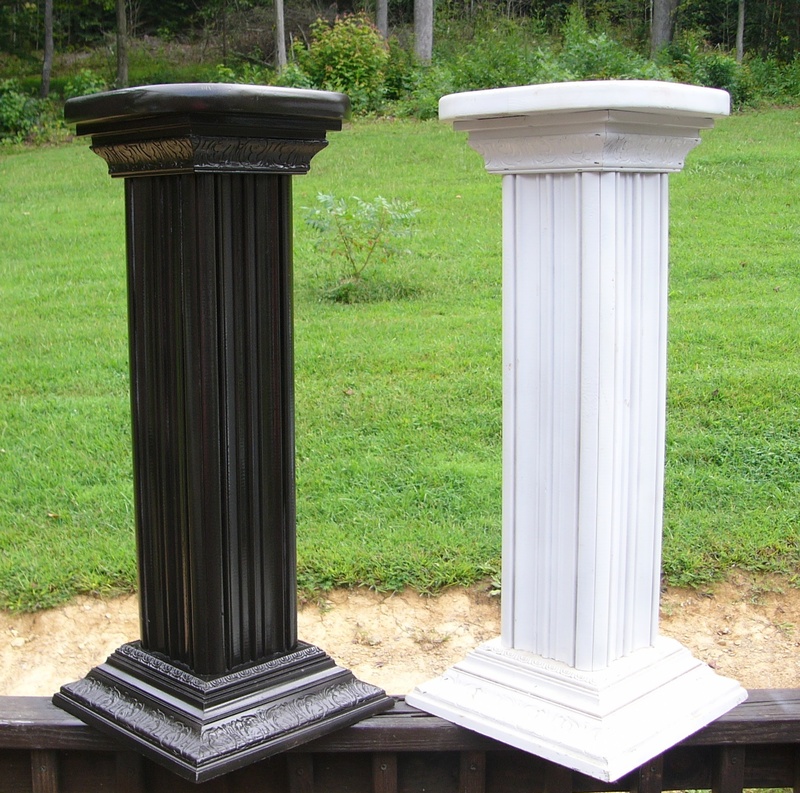 I started off with these cute, wooden, white pillar columns, on the right. Yep, they were fine like they are but I needed something darker so they'd stand out better in my lighter themed booth. And to make a more bold statement. 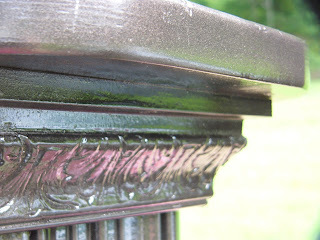 So I decided to give them a bronzed, metallic finish by just using Rustoleum's spray paint in Metallic, below. One coat was all it took. And i actually has a good, thick coating to it. 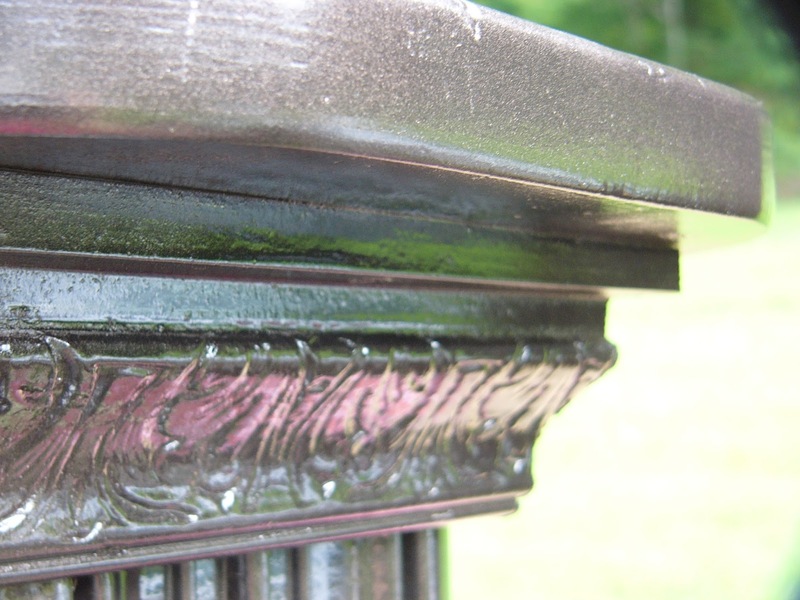 Even the grooves in the wood all took the paint good the first time. All and all they turned out pretty good and just what I was going for. I will be able to sit things on these that need some good attention drawn to them. And I'm sure they will get it. I definitely think the almost $4.00 I spent on the can of Rustoleum Metallic Spray paint was worth it. And oh yea, one can did both of them in a good, thick coating. 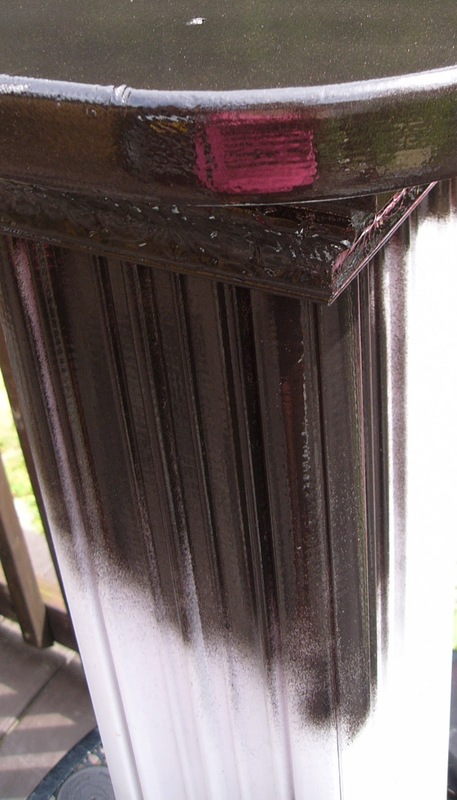 Just think of the things you could use this paint on for your crafting! Perfect to make a feature out of something. I would never have thought of using metallic on wood. I will have to try it. 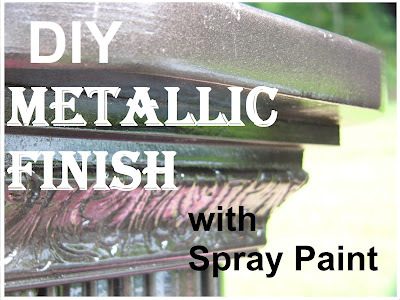 I am a spray paint nut in the summertime, I love your blog. Hi Peggy, thank you! I just thought of it out of the blue also, to give it a try. 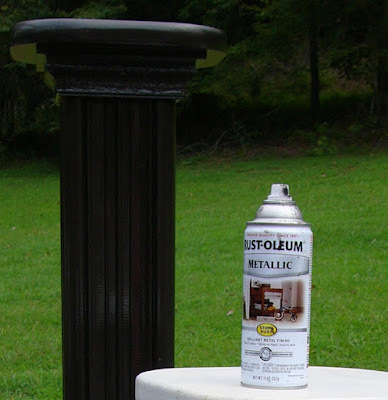 I am also a spray paint nut in the summertime. So glad you like this blog, i love trying all types of crafts.